It has brought down the best of us. It has inspired tear-filled nights or binge fests out of sheer frustration. Yes, losing weight can be quite tough for most people. There are (many) times where it seems that the extra flab just won’t shed. Even after trying countless regimens, endless advice, you’re still in the same place you started. How can this be? Millions struggle with weight loss success. Even with the best of intentions, sometimes it’s just too darn hard to reach your goals. Dropping pounds down may seem straightforward, but the fact is, losing weight is a much slower process than gaining it. And you may have inadvertently been hindering your progress by subscribing to outdated recommendations. The good thing now is, you have access to a lot of information that can help you get on track once again. The key is to recognize those mistakes and find solutions on how to correct them. Many dieters attribute their weight loss success to the number on the scale, and if there’s no significant change, they easily get discouraged and bogged down by the lack of progress. While your body weight can measure weight change, it doesn’t necessarily reflect fat loss or gain. A lot of things influence weight, like fluid level and how much food is in your system at any given time. In fact, your weight can fluctuate by more than a pound in a single day! And let’s not forget hormonal changes – increased estrogen levels in women, for instance, could cause water retention that will show on the weighing scale. So don’t fret when you’re not seeing changes on your weight. If you have steadily incorporated a balanced diet and regular exercise in your lifestyle, chances are, you may very well be improving your body despite a stable scale weight. Try measuring your waist with a tape measure, or try to observe how your clothes fit. You can take a picture at regular intervals with the same angle and lighting. These can give you a more reliable idea if you are indeed, losing fat and gaining muscle. Generally, a calorie deficit makes you lose weight. It was previously believed that a decrease of about 3,500 calories per week would result in a pound of fat loss. But recent findings suggest that calorie deficit varies with each individual. If you can be vigilant about the amount you’re consuming, well and good. Just make sure that you apply portion control. Even if you think you are eating healthy foods, like nuts and cheese, these are high in calories, which can hinder your fat loss. On the other hand, eating too little calories can make it harder for you to build muscle and can slow down your metabolism, which can also be counterproductive to your progress. To make life less complicated, don’t overexert yourself with counting calories. Instead, focus on eating complex carbohydrates and whole foods that make you feel full for longer. That way, you don’t feel deprived even when you’re controlling your eating habits. Despite what many assume, weightlifting does not bulk you up; it is, in fact, one of the most helpful routines when it comes to shedding off the pounds. Studies show that resistance training has a lot of benefits directly linked to weight loss, including a higher metabolic rate, increasing muscle mass, and fat loss. A review of numerous studies observing hundreds of participants shows that the most effective strategy for weight loss is when you combine aerobic and weightlifting exercises. When you’re trying to lose weight, you may be drawn to foods that advertise “low-fat” or “diet” on the labels. You might think these are perfect for your journey, but in fact, they may actually just burn through your pockets and not have any good effect at all. Why? Because most of these processed foods are loaded with preservatives and sugar. You may not be getting fat, but you’re getting tons of sugar, which can increase your insulin levels and make you hungrier. 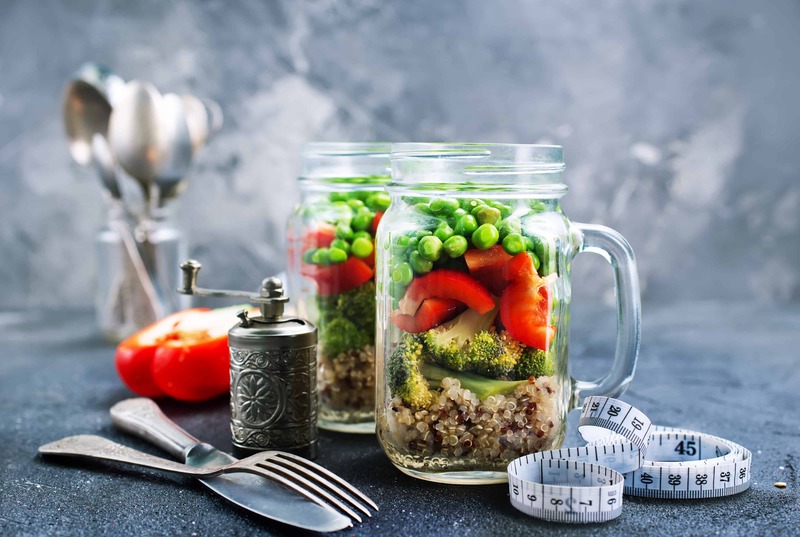 Any worthwhile diet regimen involves unprocessed, whole foods – real foods that pack nutrition and help you feel satiated while giving you enough nutrients. Amy Schumer, in one of her stand-up comic shows, famously poked fun about never being able to say, “Oh my God, I forgot to have lunch today!”, despite having a pretty hectic schedule. Funny as it can be, when you think about it, we have been taught to eat every mealtime to help our bodies function normally. Unfortunately, this old belief can cause us to consume excess calories in a single day, and actually feel hungrier if you eat refined sugars or grains. This can sabotage your weight loss goals. In one study, for instance, blood sugar levels and hunger pangs were reduced in men who consumed just 3 meals, compared to 14 meals eaten under a 36-hour period. Those who ate fewer meals also had more robust metabolic rates. Eating only when you’re hungry can help you shed off pounds. Remember intermittent fasting? It’s all about consuming just what your body needs. And to prevent overeating, don’t allow yourself to be too hungry. Munch on healthy snacks if you feel a bit of a pang. Weight loss takes patience, effort, and dedication. If you feel like you are in a diet rut right now, cut yourself some slack! As long as you take these helpful tips to heart, you can gradually change habits that may not have worked before, and try new ones that could get you closer to your ideal weight. Good luck!